Oh how I love this time of year! 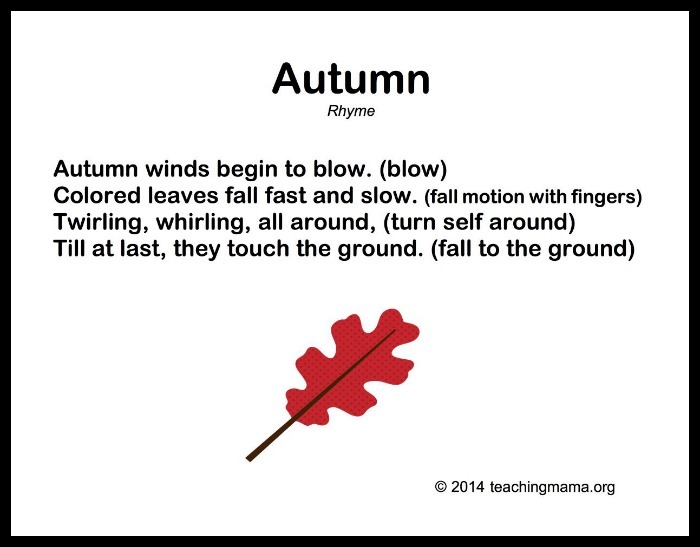 There are so many fun activities to do with little ones during autumn. 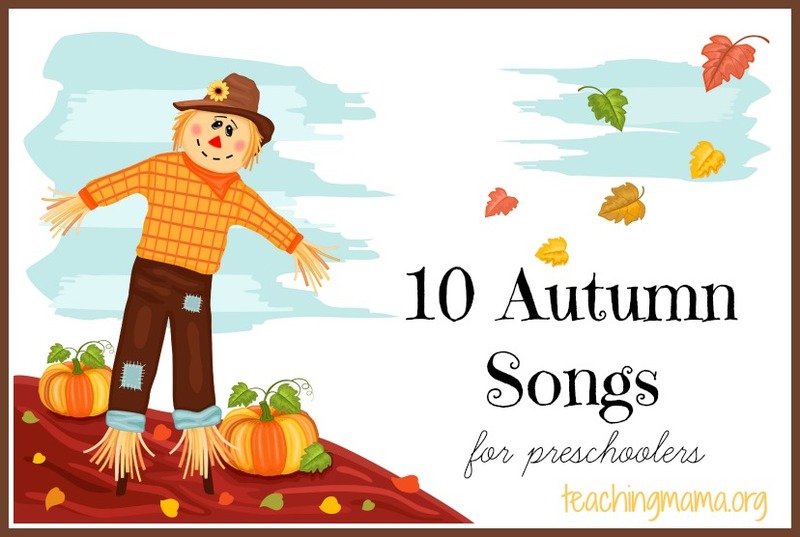 Today I’m sharing 10 Autumn songs for preschoolers. 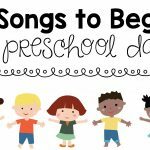 Of course preschoolers love music and movement, so these songs and chants would be a perfect addition to a homeschool day or classroom. Enjoy! 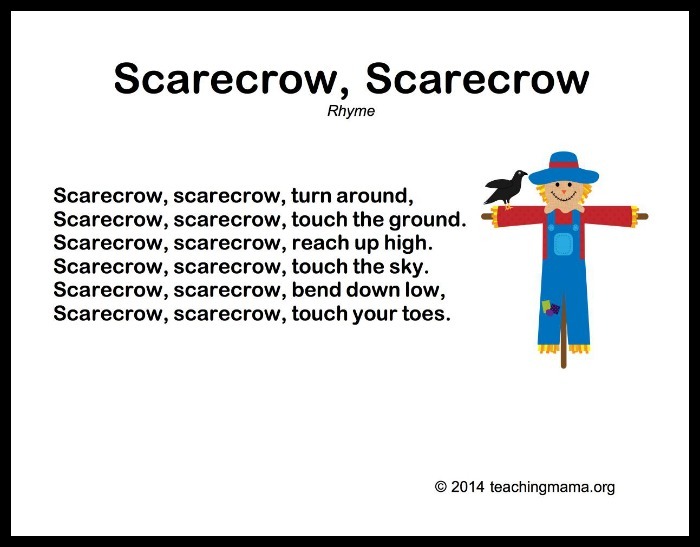 Here are the songs…scroll to the bottom for the link to download a printable copy of each one! 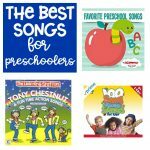 I think that these songs are a prime example of how important preschool can be for children. It is nice to have an environment for learning while being surrounded by peers to help you grow. 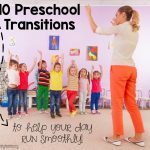 I can’t wait for my own kids to enter into preschool. Lots of cute things. Thanks for sharing some ideas with me. 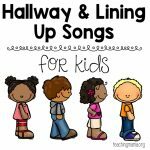 Thanks for sharing some great ideas to help my little learners start the day in a very special way! 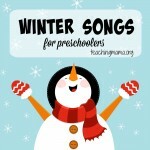 beautiful simple ideas, ive printed your little songs to use in my montessori school. 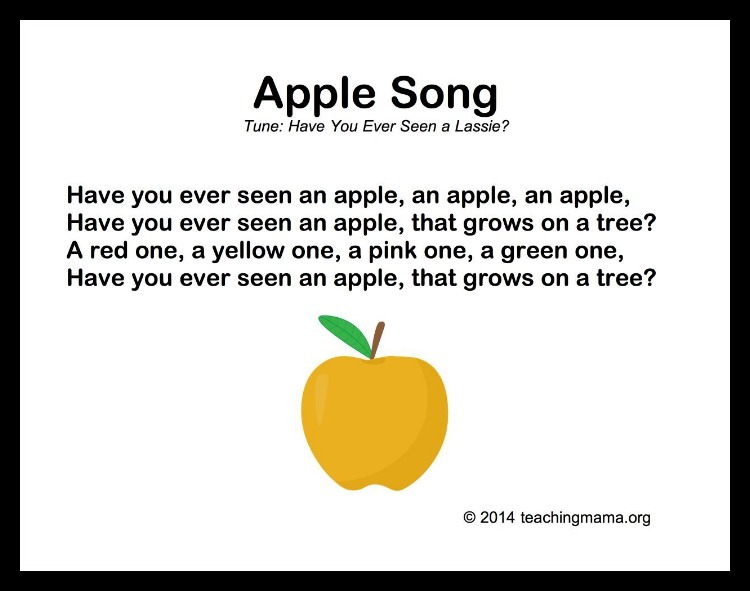 There is a grammatical error on the Ten Little Apples song – the last word says “three” instead of “tree”. Thank you so much for telling me! Can’t believe I slipped up on that. I’ll be fixing it ASAP! this may be out there somewhere cus nothing new really but I never heard it but made it up one day. 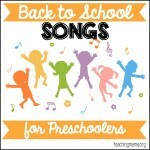 BINGO song…kids name if 5 letters. for instances.. there was a girl who had a (fav toy) doll and Megan was her name O. M-E-G-A-N …..and megan was her name oh. I tuagh my 3 to spell her name like this. I love these songs. 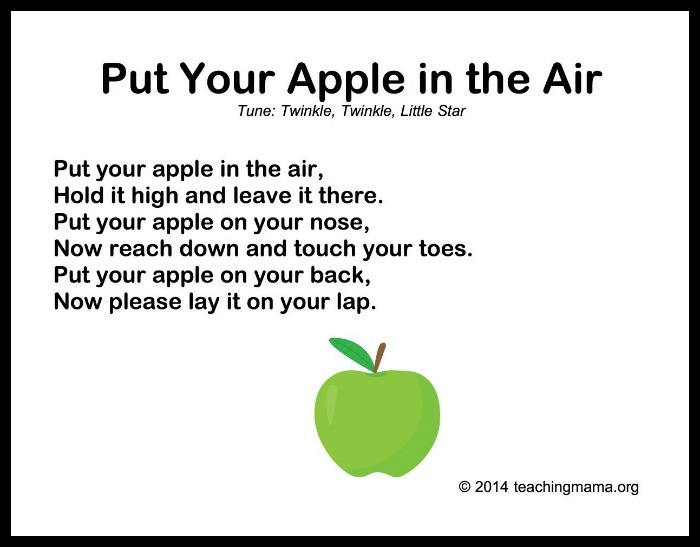 On the song Ten Little Apples, the last sentence the word Three should that be Tree. I just want to make sure. Oh thank you for pointing that out. It’s changed! 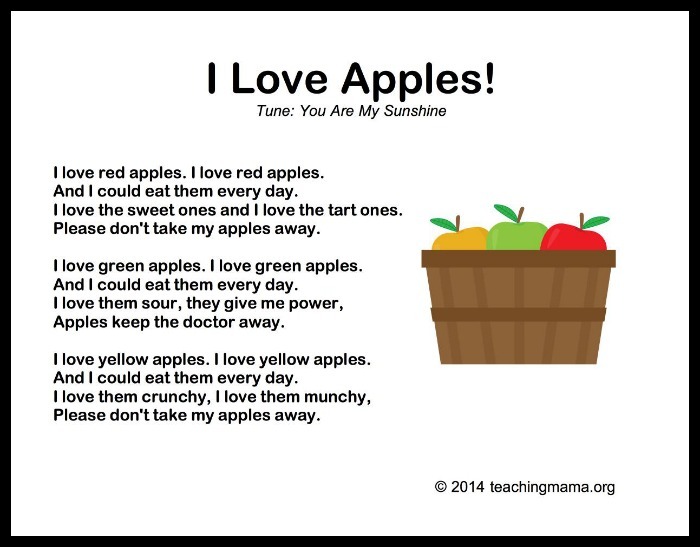 Thank you so much for this article, I used “I love apples”, “five stuffed scarecrows” and “Autumn” in a intergenerational music session we had at the long term care facility I work at. The songs were both new and familiar which helped facilitate a shared experience rather than a performance. What a hit! I really like the apple version of the BINGO song. 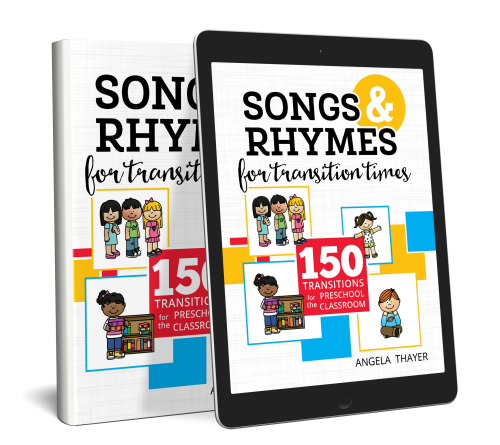 I sing it with a slap on the knees on the primary downbeat and a clap on the secondary downbeat, but I do all claps on the letters and all slaps on the “crunches”. Btw, in your lyrics, “it’s” should be changed to “its”, as it is a possessive, not a contraction. Thanks! Thanks for sharing. I’ll fix that typo, too! 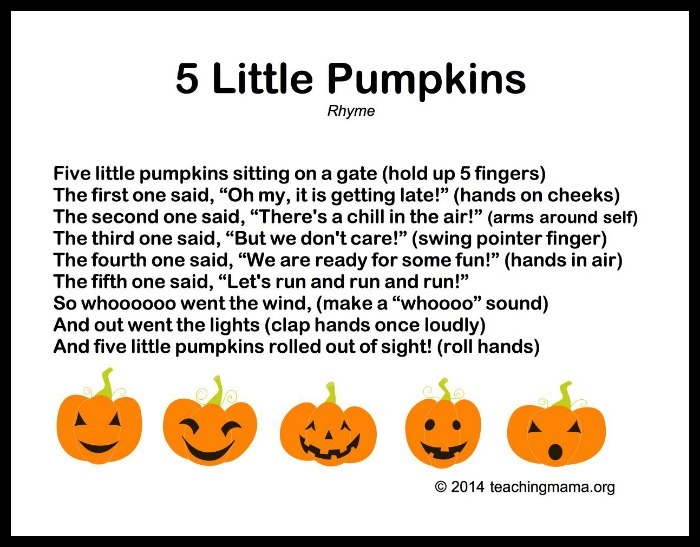 Thanks for great ideas to use with toddlers at our library! 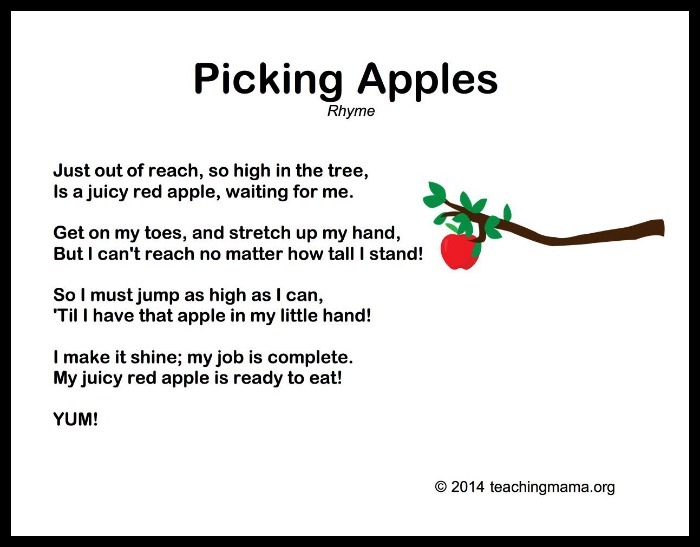 A grammatical error I saw – on APPLE (BINGO), it’s should be its, without the apostrophe (possessive, not a contraction).